Testing, testing: in Flanders, it’s as easy as one-two-three. Find out why Belgium’s autonomous northern region is the place to be for putting your company’s new products and concepts to the test. Even more, discover how its collection of pilot plants and demonstration infrastructures can help you take your development efforts to the next level. With about 6.5 million people living in an area of just over 13,500 square kilometers, Flanders is a small but populous region. And the smaller a market, the faster you can bring new products and concepts to consumers in order to find out whether you’ve got yourself a match. In short, innovations can be tested in shorter amounts of time and with lower budgets in Flanders. Flanders is located at the heart of Europe. No less than 80% of the continent’s purchasing power is situated within 800 km around Flanders’ capital of Brussels, which is also home to most of the European Union’s institutions. Belgium as a whole can even be seen as a miniature version of Europe. Its economy and consumer trends are very similar to those of Europe – making it a representative test market for the whole continent. Let’s put it this way: if your innovations can make it in Flanders, they can make it anywhere in Europe. Learn all about Flanders’ favorable location. Before launching its ‘fruit in a bottle’ smoothie concept continent-wide, Chiquita selected Flanders as its ideal test market. The American fruit company also chose the region to test a new marketing concept to create more direct and interactive relationships with consumers of fruits and smoothies. 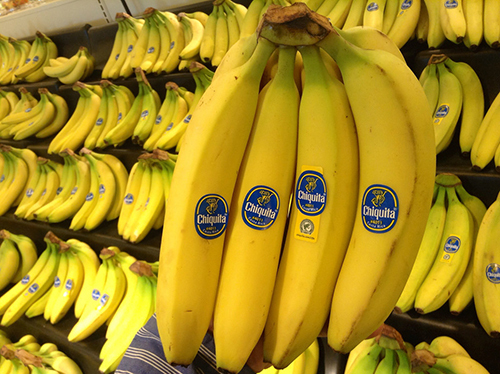 To carry out the research, Chiquita called in Insites Consulting, a market research firm headquartered in Ghent (Flanders). The aim? To create a community where consumers can share ideas and feedback, generating numerous marketing and innovation insights for Chiquita. 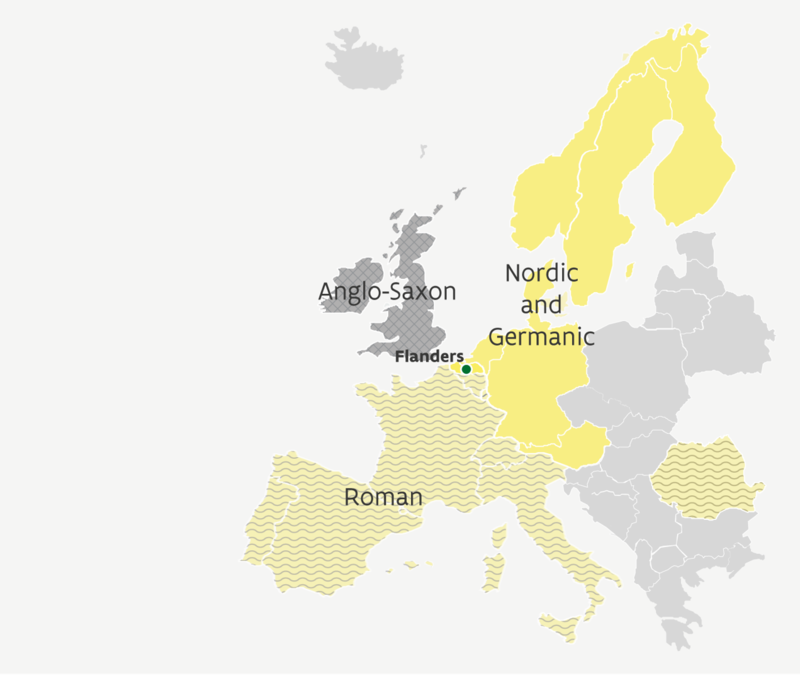 Flanders can be found at the crossroads of three major European cultures: Germanic, Roman and Anglo-Saxon. People in the region are also fluent speakers of Belgium’s three official languages – Dutch, French, German – as well as English. As a result, Flanders offers access to a diverse, multicultural society and test market for your products. Moreover, all of this is seamlessly integrated to form one comprehensive and accessible distribution network. This makes it easier for your company to get its new products and concepts to consumers more rapidly. Meanwhile, the region’s open and highly globalized economy ensure that the people of Flanders have international mindsets and are receptive to giving new products from abroad a try. Find out more about Flanders’ open economy. Innovation is part of the fabric of Flanders, where fertile cross-pollination occurs between the private, public and academic sectors. To give just one example of the local R&D ecosystem’s effectiveness: Flanders boasts the fastest clinical trial procedure in Europe. This is the ideal backbone for successful innovation at the large number of pharmaceutical players present in the region. Their R&D efforts are further supported by government-funded research players, like life sciences institute VIB, and a network of research groups representing some of Europe’s finest universities. But don’t just take our word for it. Feast your eyes on what Flanders has in store for your research and development efforts. In addition to the test facilities at strategic research centers, Flanders is home to numerous pilot plants, demonstration infrastructures and R&D centers to help a variety of industries test and scale up their innovations. Below is a non-exhaustive list of notable examples. Based in Melle, the Food Pilot is an application, demo and analysis center for companies in the food industry. It allows biomass to be converted into food products. The facility hosts several cutting-edge technologies, such as heat, mix, reduce, cool and dry devices on a semi-industrial scale. Find out more about Flanders’ food R&D ecosystem. A project launched by strategic research center imec, City of Things brings the Internet of Things to the city of Antwerp (Flanders). As such, the project transforms the city into an IoT living lab as well as a real-time open data platform. To that aim, hundreds of smart sensors and wireless gateways are positioned at carefully selected locations. Discover more about Flanders’ digital R&D ecosystem. Located on the outskirts of Sint-Truiden (Flanders), DronePort is a state-of-the-art test and business center for the development of unmanned aircraft systems (UAS). As DronePort was built at a former air force base, it has all the necessary equipment, infrastructure and airspace for high-altitude drone testing. Learn more about Flanders’ aerospace innovation ecosystem. Bio Base Europe (BBE) Pilot Plant is an independent, open innovation pilot and demonstration facility, strategically located at the Port of Ghent (Flanders) – a leading seaport with a strong focus on biobased activities. BBE Pilot Plant is the go-to partner for process development, scale-up and customer manufacturing of biobased products and processes – from lab to multi-ton scale. Read more about Flanders’ biobased innovation ecosystem. To be the most productive square kilometer in hi-tech: that’s the aim of the Open Manufacturing Campus (OMC). By setting up shop at OMC, companies gain access to measuring devices and test equipment, as well as to engineering and production consultancy resources, open innovation initiatives, and more. Discover Flanders’ innovative ecosystem for advanced manufacturing. Based in Lommel, Ford Lommel Proving Ground (LPG) gives businesses in the automotive industry access to mainstream vehicle test and development services as well as 80 kilometers of test tracks. Meanwhile, The Toyota R&D Center in Zaventem is home to a 1.4km oval test circuit, a slide-slip testing platform, tracks for carrying out sustainability, sound and brake tests, and more. Read all about Flanders’ automotive innovation ecosystem. Centexbel is, without a doubt, Flanders’ main innovation center for smart textiles and smart materials. Its offers textile players access to a range of activities and services, from R&D, testing and consultancy to certification and training. Find out more about Flanders’ textile innovation ecosystem.